NOTE: This guide will cover the "Civil Harrassment Restraining Orders" process. Not the "Domestic Violence Restraining Orders" process. This article will give you general information on the court process for making civil harassment restraining orders. It will cover how to ask the court for a restraining order and what to do if someone has asked the court for a restraining order against you. Civil harassment cases have many complicated rules, move very quickly, and can seriously affect both parties. If feasible, discuss the restraining order process with a family law attorney. There are two types of civil harassment restraining orders. A judge can make a temporary restraining order, as know as a TRO, very quickly, without a court hearing, and often without any advance notice to the restrained person. When a judge makes a TRO, the court will schedule a hearing within 25 days and the TRO will end on that hearing date. A judge can make a restraining order after the hearing and is often called a permanent restraining order, but only after the restrained person has been notified that there will be a court hearing and had a chance to explain his or her point of view. To request a TRO, you must also fill out Form CH-110, Temporary Restraining Order. You can also turn in written statements from witnesses, signed under penalty of perjury, to support your request for restraining orders. You must file the completed forms with the clerk of the superior court in the county where the restrained person resides, or where any of the harassment took place. You may have to pay a court fee to file the forms. You will not need to pay a fee if your Form CH-100 says you are asking for a restraining order because the restrained person committed or threatened violence against you, stalked you, or acted in another way that made you reasonably fear violence. Can the court fees be waived for a restraining order? If you are requesting the restraining order for another reason and you cannot afford to pay the filing fee, you can file Form FW-001, request to waive court fees. When you file your papers and pay any fees that are required, the court will open a civil harassment case. Whether or not a judge makes a TRO, the court will schedule a hearing about whether to make a permanent restraining order. The court will write the hearing date, time, and location on Form CH-109, Notice of Court Hearing. You may need to come back to the courthouse so the clerk can give you back file-stamped copies of this form and the others you filed. The forms that the clerk returns will give you instructions about what to do next. If the court makes a TRO, information about that order must be entered in a law enforcement computer system, so the police can enforce the order throughout the state. The Form CH-110 that the clerk returns will tell you whether the court will submit the information or whether you must take the TRO to the police department yourself. How do I serve the forms to the restrained person? After the court schedules the hearing, the protected person must arrange for an adult who is not involved in the case to personally deliver all of the forms listed in CH-100 and CH-110 to the restrained person. This is called “SERVICE” and lets the restrained person know about the hearing and about any temporary restraining order. Service is very important. It must be done in the correct legal way and within the time the court ordered on Form CH-109. If its not, the judge cannot make a permanent restraining order at the hearing. To find out more about serving the forms and proving that this was done correctly, see Form CH-200-INFO, What is “Proof of Personal Service”? I was served with a civil harassment restraining oder, now what do I do? If someone has asked the court for civil harassment restraining orders against you, carefully read all the papers you receive. If you can’t read the papers, have someone read them to you. If you receive Form CH-110, Temporary Restraining Order, you MUST obey all the terms of that order. Otherwise, you can be arrested, put in jail, and fined. Form CH-109, Notice of Court Hearing, tells you when and where a judge will consider evidence and decide whether to make permanent restraining orders against you. Form CH-100, Request for Civil Harassment Restraining Orders, tells you how the protected person says you harassed him or her and what permanent restraining orders he or she is asking the court to make. You can respond to the request for permanent restraining orders in writing before the hearing, in person at the hearing, or both. It is best to attend the hearing even if you respond in writing, so that you can explain your side of the story and answer any questions that the judge has. But if you do not respond in either way, the court may make permanent restraining orders without any information about your point of view. How do I respond to the civil restraining order in California? To respond in writing, fill out Form CH-120, Response to request for civil harassment restraining orders. On this form, you will say whether you agree or disagree with the judge making permanent restraining orders. You can also deny that you harassed the protected person or explain your conduct. If you respond in writing, you must have another adult mail or deliver your Form CH-120 to the protected person in the correct legal way. The person who mails or delivers your Form CH-120 must complete Form CH-250, Proof of Service of Response by mail, Form CH-200, Proof of Personal Service, or another legal proof of service form. You should then file your Form CH-120 and the proof of service with the court before the hearing. You may have to pay a court fee to file the forms. But, you do not need to pay a filing fee if the protected person said he or she was requesting restraining orders because you committed or threatened violence against him or her, stalked him or her, or acted or spoke in another way that made him or her reasonably fear violence. If the protected person requested restraining orders for another reason and you cannot afford to pay the fee, you can file Form FW-001, Request to Waive Court Fees. If the protected person has harassed you, you can ask the court for restraining orders protecting you from that person. To do this, you must complete the forms and follow the procedures that were discussed earlier. One cannot request restraining orders on your Form CH-120. It is important to carefully prepare for your hearing before you go to court. How do I prepare to defend myself against the civil harassment order I am facing? Understand the civil harassment laws, know about the facts that support your point of view and the facts that support the other person. Organize the information that you want the judge to consider and plan what you will say at the hearing. To prepare, be sure to: Read Form CH-100-INFO, Form CH-120-INFO, and other materials that explain the civil harassment law and procedures. Talk to a family lawyer if possible. Gather any evidence about the claimed harassment, such as letters, e-mails, photographs, police reports, and medical records. Talk to any witnesses. Have subpoenas served on those you want to testify or bring evidence to your hearing, unless you are sure they will come voluntarily. Go to the courthouse before your court date and watch civil harassment hearings, so you know what to expect. It is important for both the protected person and the restrained person to go to the court hearing. If you do not go, the judge may decide against you without knowing your point of view. If you are not completely comfortable speaking and understanding English, bring an adult who can translate for you. This is our only chance to present your case, and you want to make sure you can understand everything that is said and present your evidence. The court probably will not be able to provide an interpreter for you. Presenting evidence in court is difficult. What will the judge consider as evidence in my civil harassment case? During the hearing, the judge will consider any evidence that is properly presented. The judge may also ask questions or request more information. But, the law may not allow the judge to consider some evidence you think is important. For example, witnesses can normally only testify about something they personally saw, heard, or experienced and not about something that someone else told them. After considering the evidence that was properly presented at the hearing, the judge will decide whether to make permanent restraining orders. The judge can only make permanent restraining orders if clear and convincing evidence shows that the restraining person committed acts that the law considered harassment. The clear and convincing evidence required for permanent restraining orders is stronger than the evidence required for temporary restraining orders. A person who was given a TRO will not be given a permanent restraining order unless the evidence meets the stronger requirement. coming near the protected person and places he or she often goes. What limits will the restraining order place on me? But, civil harassment restraining orders CANNOT make the restraining person stay away from his or her own home, job or school. The restraining order will also prohibit the restrained person from owning or possessing any firearms or ammunition. The restraining order can also require or prohibit other acts if the judge decides this necessary. The judge can also order the person who won the case recover his or her costs and lawyer’s fees from the person who lost. If the judge makes a permanent restraining order, Form CH-130 may say that someone must serve the order on the restrained person and that the protected person must deliver a copy of the order and proof of service to a local police department. sell any guns that he or she owns or possesses to a licensed gun dealer, or turn them in to the police, within 24 hours after being served with the restraining order. file with the court a receipt that proves the guns have been sold or turned in within 48 hours after being served with the order. What can I do if the restrained person does not follow the restraining orders? By violating a temporary or permanent restraining order: The protected person should call the police and give the police a copy of the restraining order and proof of service. A person whom violates the restraining order may be arrested, put in jail, and fined. As you have read, preparing, filing and serving papers, preparing for and going to a court hearing, and obeying or enforcing a restraining order can be complicated, stressful, and time consuming. It can also be expensive in terms of court fees, attorney fees and time off work. Individuals that find themselves in need of an expert restraining order attorney in Orange County or Los Angeles can take steps to protect their rights by requesting a free consultation with the Divorce & Family Law Offices of Yanez & Associates. The attorneys can be reached by calling 714-971-8000. 4 Can the court fees be waived for a restraining order? 5 How do I serve the forms to the restrained person? 6 I was served with a civil harassment restraining oder, now what do I do? 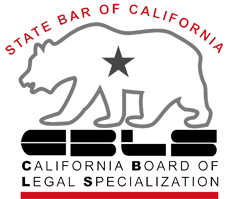 7 How do I respond to the civil restraining order in California? 8 How do I prepare to defend myself against the civil harassment order I am facing? 9 What will the judge consider as evidence in my civil harassment case? 10 What limits will the restraining order place on me? 11 What can I do if the restrained person does not follow the restraining orders?